The successful outcome of your group tour really depends on the place you choose and the details surrounding your event. When you choose Pigeon Forge, you can leave those details up to our group tour services and enjoy the success you’ll have in the end. Here, you’ll find all the materials you need to show your group that Pigeon Forge is the ultimate group destination. When you plan a trip to Pigeon Forge, not only do you get a destination that people get excited about, you also have a staff of friendly folks ready to help you plan. The Pigeon Forge Group Services is known for personal attention with a touch of Southern charm. We are more than happy to send our current Group Destination Guide to assist you in planning a tour that will impress your group. You’ll find group information on lodging, entertainment, attractions, restaurants, catering and shopping in this useful guide. Want to give your group a sneak peek at what’s in store? 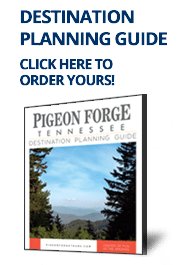 We have an entire inventory of digital images to share, plus our Tour and Travel video highlights the best of Pigeon Forge, its people and places. We have posters, maps and brochures available whenever you need them and can keep you updated on all the latest happenings with our quarterly newsletter, In Transit. When visiting Pigeon Forge, some of the best tips and advice will come from the locals – so don’t be shy about asking us a question. You may hear legends of old or learn a few secrets about local favorite dining, shopping or fishing spots. One of the best places to start your discovery is the official Welcome Center. If you get the opportunity to visit Pigeon Forge before your event date, contact us to make arrangements for you to tour the area. We’ll assist you in choosing the location(s) for your group tour. It’s the best way to ensure that your group will get exactly what it needs before everyone arrives.